How does Montessori teach art history? In Montessori preschool, art is experienced sensorially through the repetition of activities like collage, cutting, stamps and stamp pad, clay, water color, and tempera paint, to name a few. Children at the age of four or five are then introduced to geography through puzzle maps, globes, and the people and animals of the world. This dovetails with "Cosmic Education" and the "Fundamental Needs of Man (People)" as well as the "Spiritual Need of Man (People)". What children begin to understand is that we all have the same fundamental needs: food, shelter, clothing, transportation, and defense. Once these needs are met, people start looking for more, and we call these other needs cultural or spiritual needs: language, art, religion, vanity, and music. What we want children to understand from this is that we all have the same spiritual needs but they differ according to where we live, which leads to Maria Montessori's Education for Peace. So now children in the elementary environment learn about the history of man and civilization through time lines, and when you introduce art history, it is on a time line beginning with Prehistoric peoples, all the way up to modern art. Once you do this, you can explore art further and in one area like cave art. 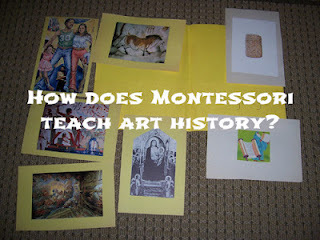 The following are Montessori and non-Montessori resources for the study of art styles in history (for ages five and up). Naturalistic artists: Daumier, Goya, Rembrandt. Realistic 19th century artists in the United States: Audubon, Winslow Homer, Edward Hopper, Georgia O'Keeffe, Norman Rockwell, James Whistler, Grant Wood, Andrew Wyeth. Want more art? Check out my other art blog posts here and here! 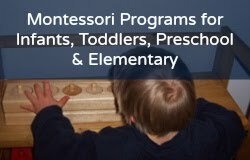 Want more Montessori lower elementary? Read my other 6 to 9 blog posts here and here. 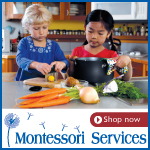 Check out my recommendations for Montessori and homeschool books here!